I want to share a book that originated close to home: Walls Fall Down by Dudley Rutherford. Dudley is the pastor of Shepherd of the Hills Church in Porter Ranch, just over the hill from us here at Eternity Bible College. We’ve had a great relationship with Shepherd of the Hills over the years, so I was pleased to have a chance to review Pastor Dudley’s new book. Walls Fall Down is meant to help you address the struggles in your life in a God-honoring way. Each time a trial arises, we have to choose to respond in a godly way. Too often our responses are less than Christian—we succumb to fear, we hold a small view of God, we try to “go it alone,” or we fail to follow God’s instructions in the midst of our struggles. Walls Fall Down offers powerful direction for those who want to overcome the struggles in their lives in a way that glorifies God. The approach of Walls Fall Down is unique. Rather than simply listing out helpful tips for addressing trials, Dudley uses the Battle of Jericho recorded in Joshua 6 as an analogy of what it looks like to rely on God in a trying situation. Now, it’s important to recognize that the book of Joshua is a narrative. In other words, it’s telling us a story—a gripping story that still has much relevance for us today. But the historical accounts in the book of Joshua are not primarily intended to give us advice on facing life’s problems. They tell us stories about God’s greatness and about the people who trusted in God (or who failed to do so). Nevertheless, there are principles to be gleaned throughout these ancient stories, and Walls Fall Down does an excellent job of carefully observing this great battle and drawing out principles that we need to consider as we navigate our modern world. For example, Dudley paints a vivid picture of the highly fortified walls of Jericho and explains that Israel had to see their God as more powerful than the military fortifications of their opponents. Then he draws a parallel: we too, must view God as bigger than our problems. So true and so helpful! Similarly, Dudley observes that God’s plan seemed ridiculous (march around the city for seven days, blow trumpets, and the walls will fall down on their own! ), but the Israelites had to follow God’s seemingly nonsensical instructions precisely if they wanted victory. So we today must trust God’s instructions—even when they seem crazy—if we want to glorify God in this life. Dudley also begins each chapter with a fictionalized account that helps readers feel what it must have been like to be an Israelite during this unique moment in history. I found these sections, and the analogies drawn with the battle of Jericho, to be helpful as I considered what it requires to follow God’s leading today. Now, there were one or two points where this format felt a bit limiting. For example, Dudley offers the reader true and priceless advice: as we follow Jesus in this life, we need to rely on the guidance of seasoned “veterans,” Christians who have gone before us, who have followed God in similar situations and found him to be faithful. Wonderful advice; point well taken. However, I don’t see anything in the biblical account of Joshua 6 that indicates that this dynamic was in play. It may have been happening, but the story of Jericho seems to show that God gave Israel the victory not because of their strategy, but because God was working miraculously through unusual means. So while it is true that we must look to the wisdom of seasoned saints (other biblical passages teach this), I don’t see it in Joshua 6. What this means to me is that Dudley’s teaching is sound and insightful, but that the analogy breaks down at some point (as they all do). I’m glad Dudley wasn’t a slave to the format of the book and still chose to include powerful insights like this. Because the book is more than an exposition of Joshua 6, such additions work well. The format of comparing our modern life with this ancient battle makes the overall message of the book more powerful, and in the few places where Dudley took the liberty of reaching beyond the confines of the analogy, the message of the book is strengthened even further. So if you’re looking for a compelling retelling of the Battle of Jericho, and if you want to focus your mind on what it takes to pursue God in the midst of trying circumstances, Walls Fall Down would be a great place to start. Dudley Rutherford and Shepherd of the Hills Church have had a powerful ministry for many years, and this book flows out of and will continue the work God has been doing there. Is it ever okay for Christians to use vulgar language? This question is particularly pertinent to me, since my book Charis takes liberties that might offend some people. While the response to my book so far has been good, I’ve received not a few reactions that go something like… “I don’t think my grandma will like this book” or “some people will be offended at your language.” One friend of mine was having his wife read the book out loud while they were driving, but he told her to skip chapter 6 (titled “Whore”) because he couldn’t hear her say those words out loud. Just to be clear, I don’t use any four-letter words in the book. Only five-letter ones. And I never say anything that, in my mind, goes beyond what the Bible (in its original language) actually says. The plain and undeniable fact is: The Bible at times uses vulgar and offensive language. In fact, there isn’t a single literal translation of Ezekiel 16 on the market. You have to know Hebrew to fully understand that chapter in the Bible, because the Hebrew is just too graphic (The Message comes closest). The same goes for Song of Songs and other portions of the Bible. But let me share my heart. I want you to know where I’m coming from. I know that the use of crass and vulgar language has become trendy in some Christian circles, and some Christian preachers seem to enjoy shocking their audience simply because they…enjoy shocking their audience. But that’s not me. There is nothing in me, and nothing in my book, that is designed to say things in a shocking way simply to get a rise out of some people. Shock for the sake of shock is immature and unchristian. I have no desire to push some undefined envelope just to thumb my nose at people more conservative than I. However, I also have no desire to censor the Bible where it was designed to offend, stir up, or shake the overly religious out of spiritual complacency. As I said, the Bible uses offensive, vulgar, and sometimes quite pornographic (that is: “graphic sexual imagery”) language. Our English translations will dim down the language, and there may be times when unleashing the original language is inappropriate. But my book Charis is written for adults, not children. So I deal with Genesis 38 and Ezekiel 16 and Hosea. I don’t pass over what Zipporah did to her son in Exodus 4 or Abraham’s past life in Ur. Gomer was not a prostitute but a sexually promiscuous woman, and I explain why this matters. The best English equivalent to zoneh, in certain contexts, is whore (that five-letter word). Hosea would have shocked his audience; if our preaching of Hosea doesn’t shock ours, then perhaps we’re not being as faithful to the text as we should. I’m not trying to be edgy just to be edgy, and I asked my many editors to tell me if they thought I went beyond the actual text (sometimes I did, and those bits didn’t make it into the final draft). I put much thought into every word that I said, and every word I wrote I wrote for a reason. Again, my motivation is not to sound hip or crass or vulgar. It’s to be biblical. My motivation is and will always be the same: To proclaim and celebrate the word of God in all its grit and grime. Because the scandal of grace is often buried in a pile of religious bumper stickers trying to keep the gospel strapped in a pew. And if that’s how God talks about grace, then so be it. But he doesn’t. He talks about all kinds of sin—the deep, dark stuff—that he rescues us from. Because this impresses on our soul the magnitude of his grace. My motivation with every word in Charis is to be most faithful to the word of God in its original language, and I want to impact my audience with the message of grace in the same way that the Bible would have impacted (perhaps offended) its own audience. That’s my motivation. Not to be edgy, not to be cool. But to be faithful to God’s word, which I’m determined to teach faithfully. Grace is a dangerous topic. We often want to domesticate it, calm it down, stuff it into a blue blazer and a pair of khakis. But biblical grace—or charis, as you’ll see—doesn’t like to settle down. It doesn’t drive a minivan and it sometimes misses church. To prove this, we’re going to venture on a journey across the land of Israel, and I’m not bringing a pacifier. If you need to scream, I’ll roll down the window. If you want to get off in the next town, sorry, doors are locked. Grace is a dangerous topic because the Bible is a dangerous book. It wrecks people, it offends people, and it’s tough to read from the suburbs. If you’re under eighteen, you might want to find another book on grace. There are plenty out there. Finally we come to the most daunting literary genre in the Bible: Revelation. Of course, the book of Revelation is not a genre in itself, but it makes use of three genres, and how exactly Revelation is to be read and interpreted is one of the most debated issues in Christian theology. Revelation lets us know that it is made of up three literary genres: letter (1:4–5), prophecy (1:3, 22:6–7), and apocalyptic (this genre stems from the Greek word for “revelation” in 1:1). 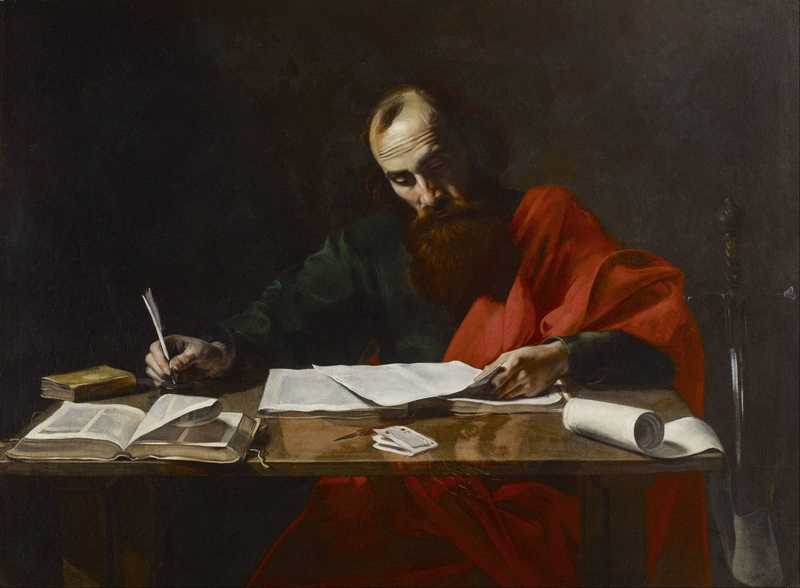 As a letter, we need to see the “situational” nature of Revelation, keeping in mind those factors we mentioned in discussing the New Testament letters. As prophecy, we will be finding predictions of the future and/or messages from God about how we are to live. This will correspond to what we said about reading Old Testament prophecy. In fact, from a genre perspective, Revelation wouldn’t seem quite so odd if it were placed in the Old Testament rather than the New. 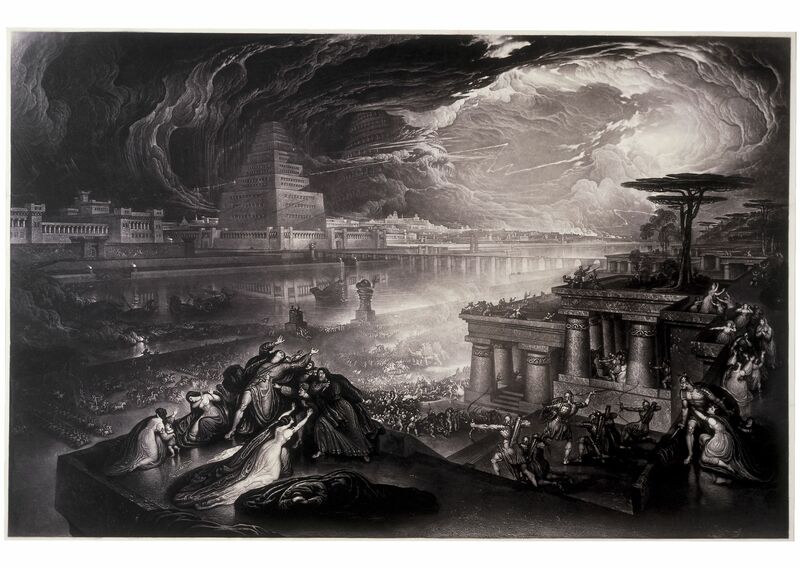 As apocalyptic, we will find God communicating to his people, often through sweeping visions and a heavy reliance on imagery. Some modern Christians are suspicious when the term “apocalyptic” gets brought up, thinking that Revelation is about to be explained away. But this genre is used in Ezekiel, Daniel, and Zechariah, so we needn’t be afraid. Plus John begins the book by saying that this is the “revelation” (Greek: apocalyptic) of Jesus. It simply alerts us to the fact that much of what we’ll see in the book will feature images, and much will be symbolic. Every interpreter agrees that Revelation makes use of symbolism. Ultimately, what Revelation does for us is pull back the curtain of perception and show us reality. As we look at our world (and this would have been particularly true for John’s original readers), it seems that the dominant forces in this world are winning. It looks as though the wicked are triumphing and God’s kingdom is being halted. But Revelation gives us a peek behind the curtain. It shows us the throne room of God (chapters 4–5); the battle between good and evil, including God’s judgment on the wicked (chapters 6–19); and the glorious end of the world (chapters 20–22). There we see the evil of this world exposed, judged, and destroyed. And we see the triumph of God and his kingdom. Whatever we decide about the timeline of Revelation, the book is meant to challenge our allegiance. It calls us to come out of the wicked city of this world (18:4–5) and to enter God’s glorious city instead (22:14). As we read, we must choose a city, choose an allegiance, choose a king. And it’s clear which one will be victorious. 1. Live within the imagery. Revelation includes fairly straightforward letters to real churches in chapters 2 and 3. But the main way in which Revelation communicates is by creating a symbolic world into which the reader is invited. Very often, readers of Revelation find a vision or symbol and then immediately try to figure out who or what that symbol represents. I believe this is a mistake. Remember that these are visions that John is watching. We should step into the visions with John, seeing what he sees, hearing what he hears. Because Revelation is so saturated with imagery, we need to enter the symbolic world and appreciate how the symbols and visions work together. Then we can step back into our modern world and ask what these symbols are referring to. Revelation works extremely well as a literary unit—our disagreement comes when we begin laying the visions out onto our timelines. 2. Look for interpretive clues left by the author or characters. Much of Revelation is left to the reader for interpretation. But there are times when we are told what the symbols refer to—Revelation 1:20, for example. So when we are handed the interpretation, we should latch on to that and use it in helping us interpret whatever we can. 3. Consider the relation of these images to the events of history. We have to start by living within the world of Revelation before we try to decide when these things will be and what precisely they will look like. But at some point, we have to ask those questions. This is where we find the most debate, of course. Some think these events all took place within the first century AD, others say these things are happening spiritually all the time, and still others see these as future events. I know it’s a copout, but there is likely some truth in each of these views (here’s a helpful resource to help you sort out the different views). But even though it’s difficult, we need to ask when and how this will play out. 4. Let you life be shaped by the overall picture of Revelation. As important as the timing of these events is, I would argue that the most important feature of this book is its call to wholehearted allegiance to Christ. He calls us out of the corruption in the world (18:4–5) and calls us to “wash our robes” in the blood of the Lamb and “enter [God’s] city by the gates” (22:14). Ultimately, we have to see these visions as a challenge to the way we see the world and a call to see our world as God sees it.